Tastefully furnished lovely lock up and go bachelor garden cottage offering tiled open plan living area and brand new modern kitchenette small fridge provided. Separate bathroom with shower, toilet and basin, two freestanding wardrobes. Double doors leading onto a private outside patio. Electricity and Water Included. Tenant to supply own bed linen and bathroom towels. Electricity and Water included. open parking area. Use of gym included. 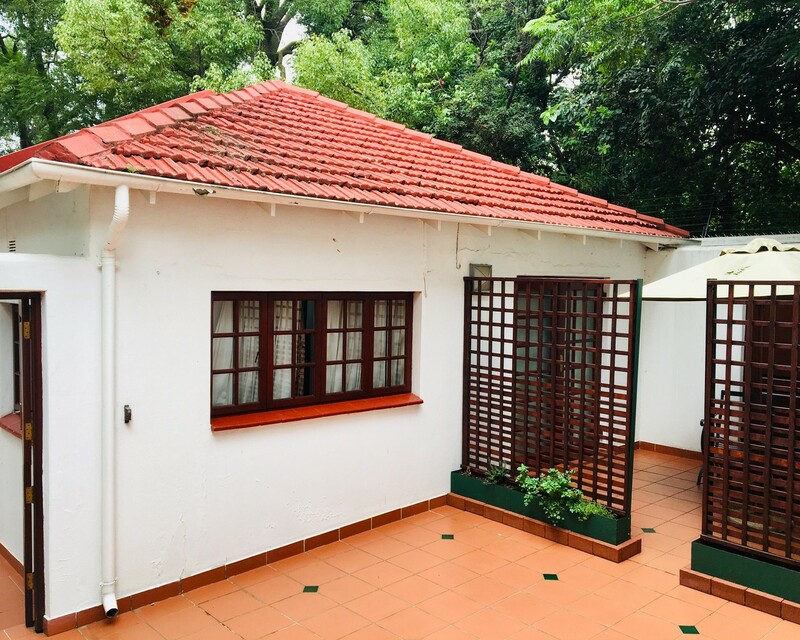 Secure property within close proximity to the German School, Within close proximity to Parktown, Rosebank ,Parkview and the Universities.Secure property with remote gate access. Main Property has alarm and remote panic button for tenant as well. Regrettably no pets allowed. Non-smoking. Fibre (monthly service for tenants account) Minumum 12 month lease. Cottage is ideal for a discerning single senior professional person.